I am honored my project "Davey from SHE / They" published in July edition of fotoMAGAZIN, a German photography publication. 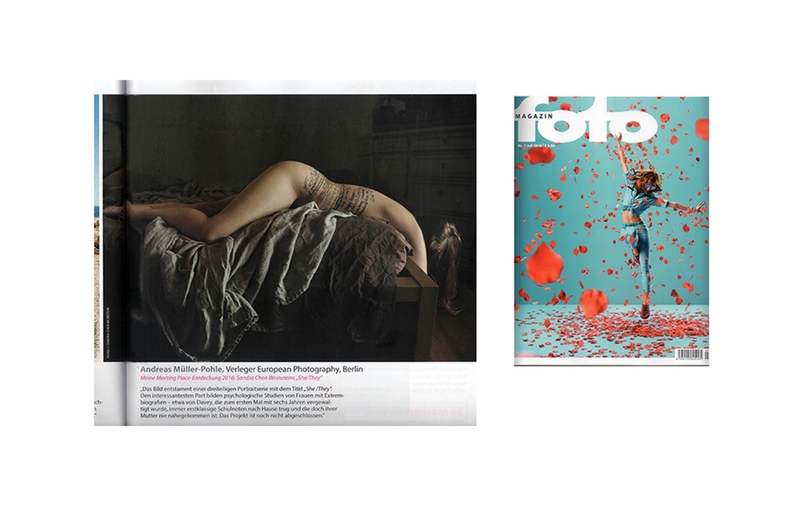 The work was selected by reviewer - Andreas Müller-Pohle, director for European Photography magazine for an article about Meeting Place Portfolio Review/FotoFEST, Houston, TX. Sandra Chen Weinstein is a self-taught photographer residing in Southern California. She has lived in Washington, DC. , Japan, Taiwan, China from mid-80 to 93 while working at American Agency. She studied Ceramics in Japan and DC before she started her photography in 2007.